New for 2018! Our soothing & uplifting Geranium & Sweet Orange fragrance is filled with floral, sweet tones. 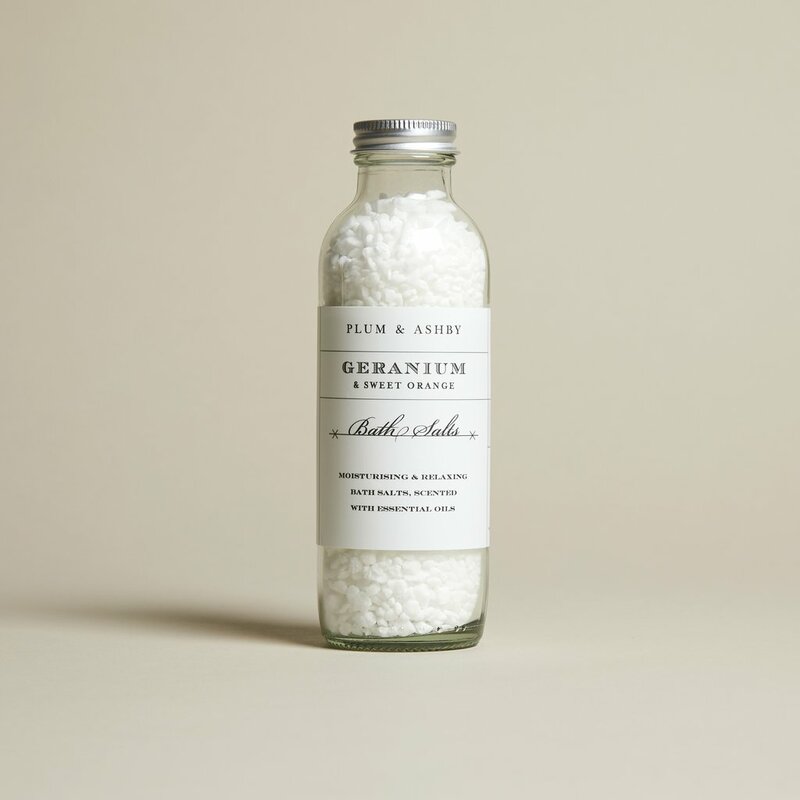 When sprinkled under running water, our salts release a soothing & uplifting scent to create the perfect bath to help you completely relax and unwind. The sea salts help naturally cleanse the skin without drying and causing irritation. This sweet floral rose scent with a fresh energising citrus aroma is softened with warm and delicately spiced undertones, this perfect addition to any bath is a joy for your skin as well as your nose!